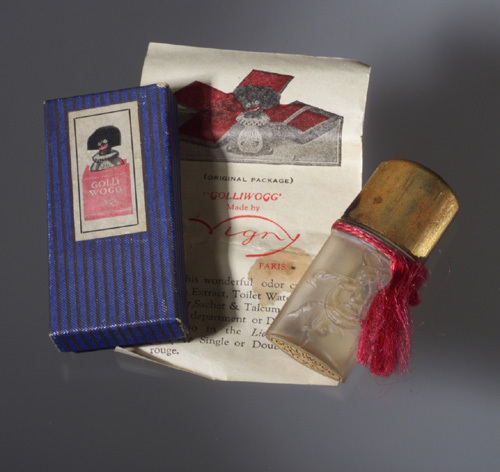 A vintage ad for Vigny Perfumes, Paris, featuring some fanciful & kitschy perfume bottles. 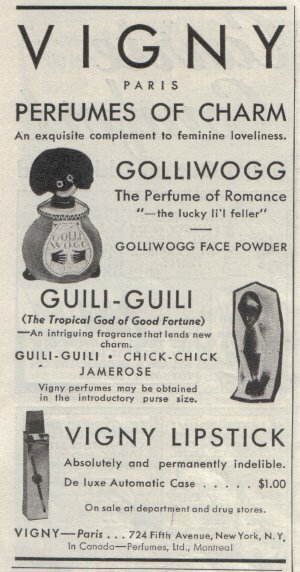 Shown here are the charming, but oft misunderstood, so they say, Golliwogg perfume "of romance" and Guili-Guili, a fragrance sold as "the tropical god of good fortune" but in truth was Guili-Guili was (according to Perfume Intelligence) named after "the real-life Egyptian illusionist from Alexandria". 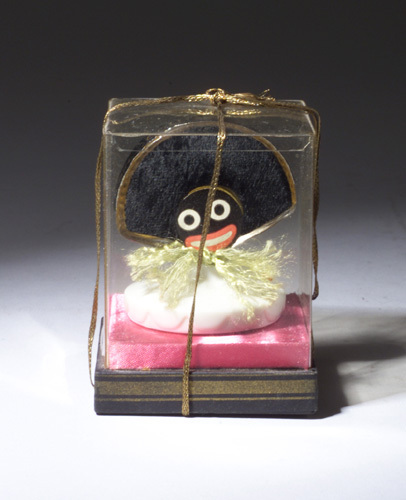 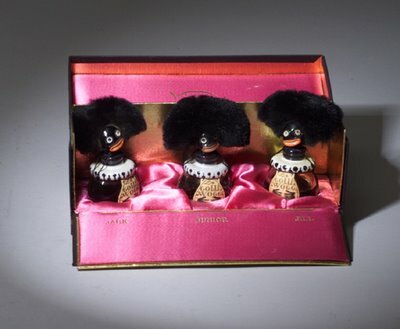 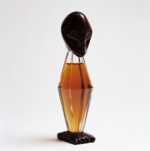 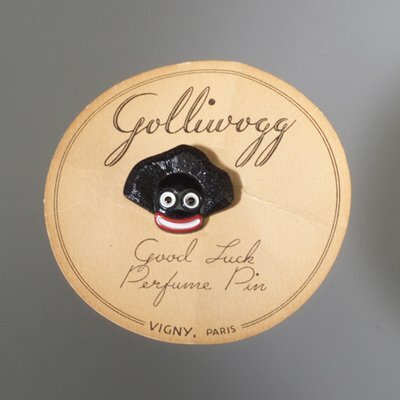 While Golliwogg is highly collectible, both as a perfume and a character inspiring annual events, it is found with relative ease; Guili-Guili is much more rare. 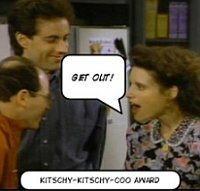 The ad also mentions other fragrances, such as Chick-Chick, and Vigny lipstick. For more on de Vigny perfumes, see this guide at eBay and this post about Michel de Brunhoff.